FLORA - MURALS - KIDS ROOMS - FAIRIES ROOMS - STRAWBERRY SHORTCAKE AND FLOWER. MOSHAV HODAYA. 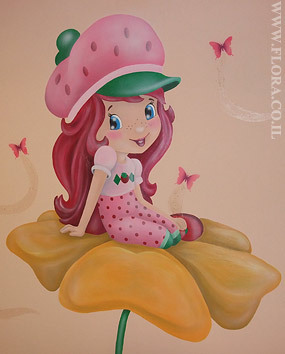 Strawberry Shortcake and flower – kids room murals. Muralist: Flora. Location: Moshav Hodaya.